Ethical Design: Design created with the intent to do good. Design with good intent can still go wrong. Dark Patterns are tricks that make users do things that they didn't mean to do. Dark Patterns pressure users into making a decision. OMG! 9MB? 8 Hero Images? $^#&*$? The Internet is still young and we are experimenting. The Internet is still young and we are experimenting. For a sustainable future we might have to reconsider and adjust the direction. We have learned how to build stuff. It’s time to shift focus on people. How would you like to be treated? What are you willing to give? Design with the intent to do good. 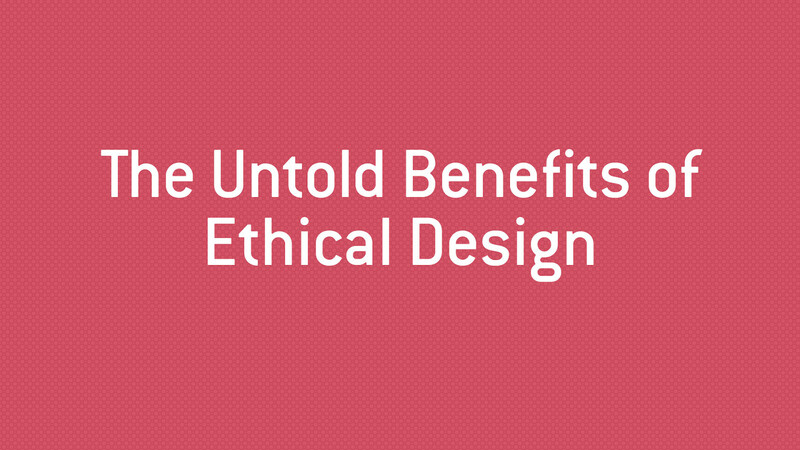 View The Untold Benefits of Ethical Design on Notist. Product design can go wrong and affect users negatively. How do your users feel using your product? What’s the impact that you cause? Can we build better products if we follow certain standards or principles? This talk will explore how to better care about users and improve their experience by taking a more ethical approach. Most importantly, this talk will hopefully be an inspiration, question the status quo and help us build for a better future web. Holger puts presentations on for free. You can too.